So, what is Analytics Canvas? Analytics Canvas is a business intelligence tool with data preparation (ETL) capabilities, including the combining of data from various sources, data cleaning, quality assurance, integration and transformation. Analytics Canvas is widely used for web analytics and marketing analytics by businesses and analytic experts. 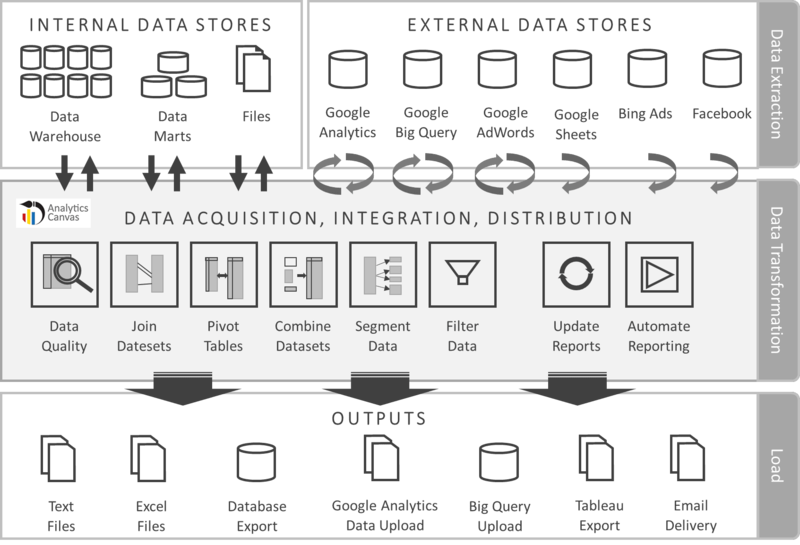 ETL stand for “Extract, Transform and Load”. Loading the resulting dataset into the next destination – a file, database, data warehouse, cloud, and more. Analytics Canvas implements the ETL process. It is designed to make data preparation efficient, scalable, and maintainable.